Retna was born in Los Angeles, California in 1979. Since first creating a name for himself in the early 1990s, Retna has become an “eternal broadcaster” of sorts, shining a light to the kinetic urban soul of Los Angeles. The name RETNA itself evokes the timeless power, movement and visual vibrancy behind the artist’s acclaimed work. His work merges photography with graffiti style and paint, time with color, couture with street culture, the spiritual with the sensual, and fluidity with grit. Whether his paintings hang in a gallery or wall on the streets of Los Angeles, they serve as a retina through which we view the urban journal of contemporary art. 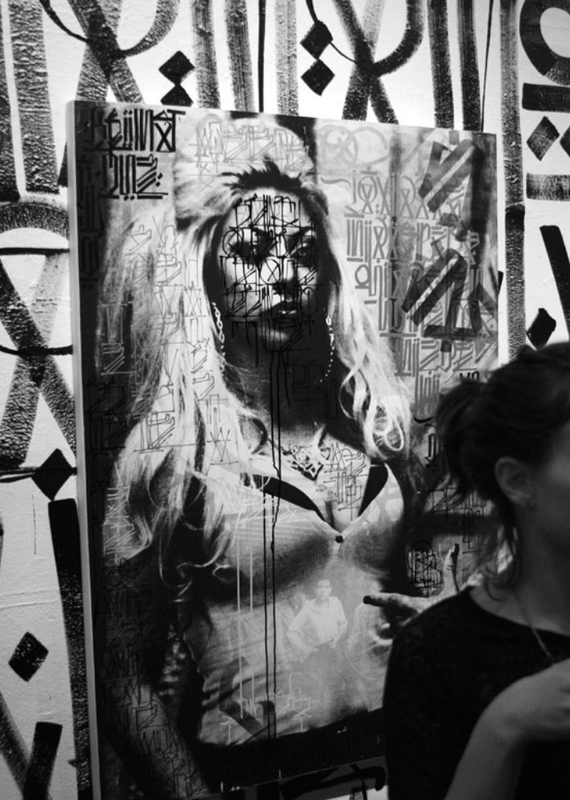 At an early age, Retna was introduced to L.A.’s mural culture. While still in high school, he led one of the largest and most innovative graffiti art collectives the city has witnessed. He is perhaps best known for appropriating fashion advertisements and amplifying them with his unique layering, intricate line work, text-based style and incandescent color palette reflecting an eclectic artistic tradition. 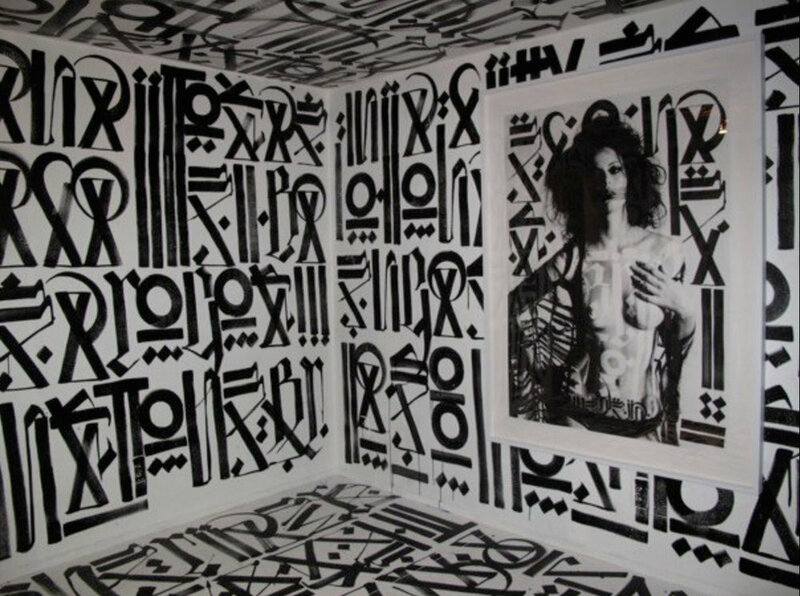 RETNA became just as notorious for his ornate painting technique as his timeless style: he used paintbrushes mixed with the traditional spray can. Many of his pieces synthesize the line between fine art and graffiti, between power and opposition, between tradition and advancement. Today, Retna traverses between the galleries and streets with ease. 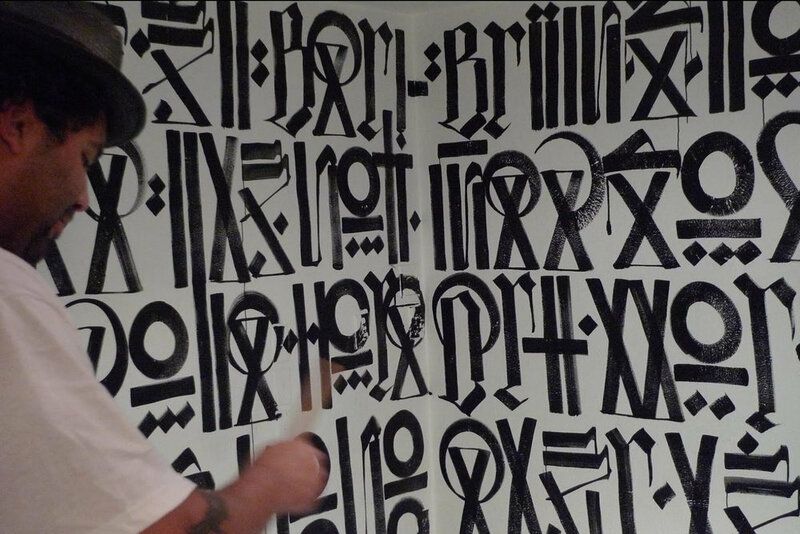 Retna is a member of the Art Work Rebels and Mad Society Kings Art Groups. In December 2007, he contributed to a large-scale mural project with El Mac and Reyes called “La Reina del Sur” at Miami’s Primary Flight during Art Basel. His most recent projects include an exhibition titled “Vagos Y Reinas” at Robert Berman Gallery and a mural called “Seeing Signs” at the Margulies Warehouse for Primary Flight.